Recently, I provided each of the example to PSA for potential inclusion in the 1948 Leaf Master Set Registry. Unlike the White Background variations, which appear to be scarcer than hen's teeth, this series of variations are somewhat more common and should be able to be acquired by all avid collectors of the issue. There is no doubt as to the significant and distinct differences in the variations. 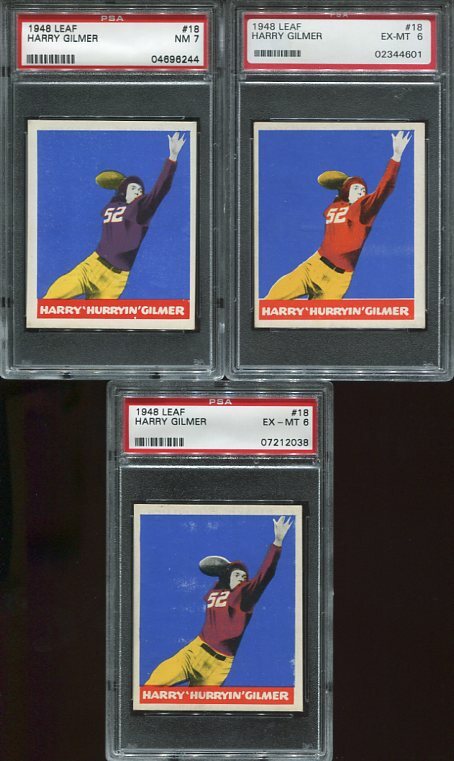 Unlike so many that suggest that there should be a Yellow/Orange variation for the name banners and/or backgrounds, this appears to be a legitimate variation within the set that should garner hobby-wide acceptance.